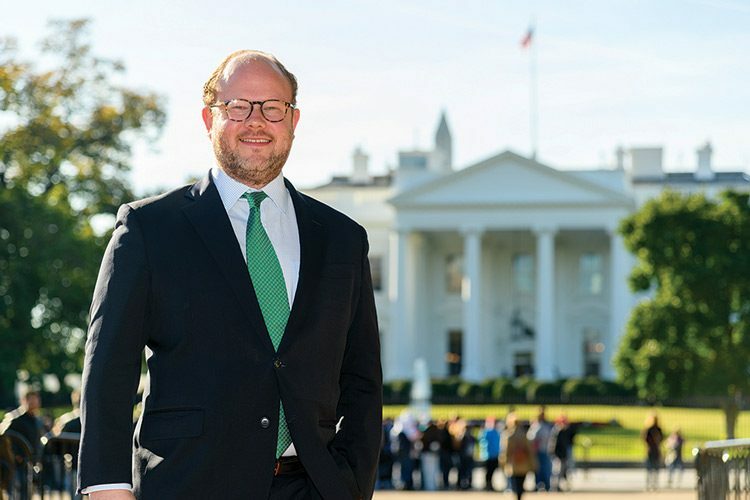 There are two paths for those drawn to public service, says Peter Feldman ’04. One is the more visible approach of running for public office. “The other,” Feldman says, “is developing the policy expertise to do the behind-the-scenes hard work that goes into making government run well.” As a newly confirmed commissioner of the U.S. Consumer Product Safety Commission (CPSC), Feldman has committed himself firmly to the latter path. “CPSC is a small but important federal agency with broad jurisdiction to protect consumers,” Feldman says. The agency covers items as diverse as children’s toys, power tools, and household cleaners. “It essentially includes all articles for household and personal use, except those regulated by other agencies like food and automobiles,” Feldman says. He earned a nomination by President Donald Trump last June and was confirmed to the post in September, creating a Republican majority on the five-person committee for the first time in 12 years. Although much of electoral politics is fraught with polarization, he sees his role as working across the aisle to clear unsafe products out of the marketplace. “That places a strong emphasis on collaboration and bipartisan coalition building,” he says. 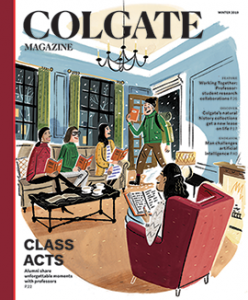 At Colgate, Feldman was a Spanish and geography major. Afterward, he joined the office of Ohio Sen. Mike DeWine, where Feldman worked on the Virginia Graeme Baker Pool and Spa Safety Act, a law to fix defective pool drain covers that caused drownings of children. “Since the act was passed, there have been zero fatalities in public swimming pools associated with that sort of suction entrapment in drains,” Feldman says. “It was a real sense of accomplishment.” He continued to focus on consumer safety issues throughout his career as a congressional staffer, earning a law degree at American University along the way. As a commissioner on the CPSC, Feldman hopes to modernize its approach for the digital age. For example, an increasing number of products are sold online, but it’s unclear whether those platforms have the same obligation as brick-and-mortar stores to report potential product defects.